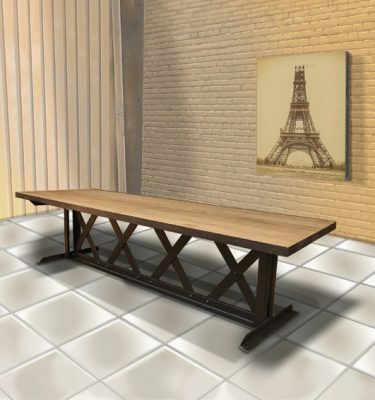 Close to 70 years of age but such a modern feel with this wonderful vintage metal console that was used from the late 1940’s to store bolts and screws at a French mechanic workshop. 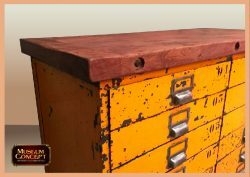 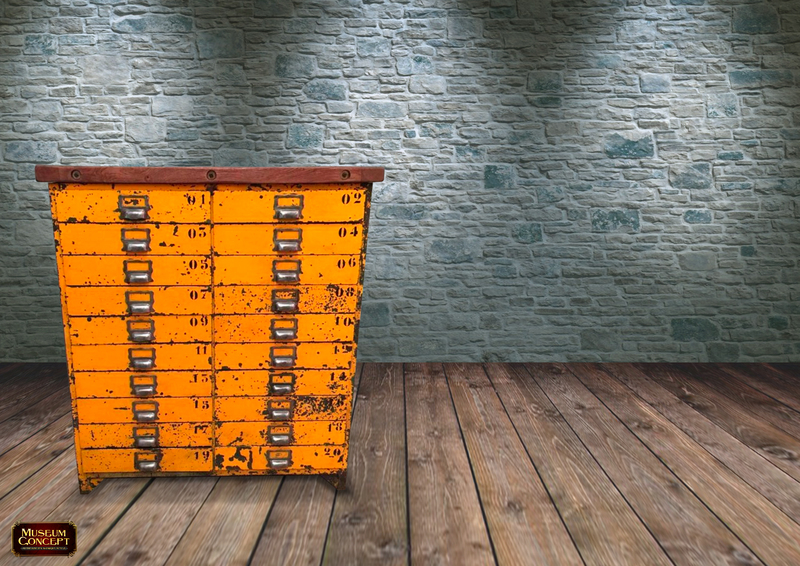 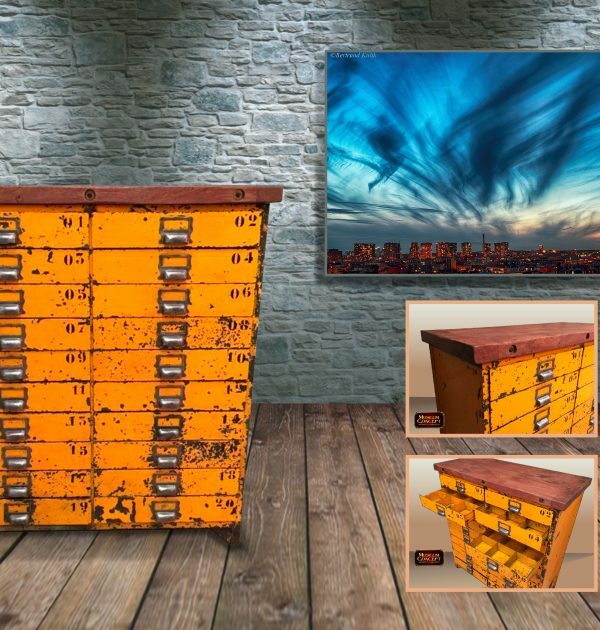 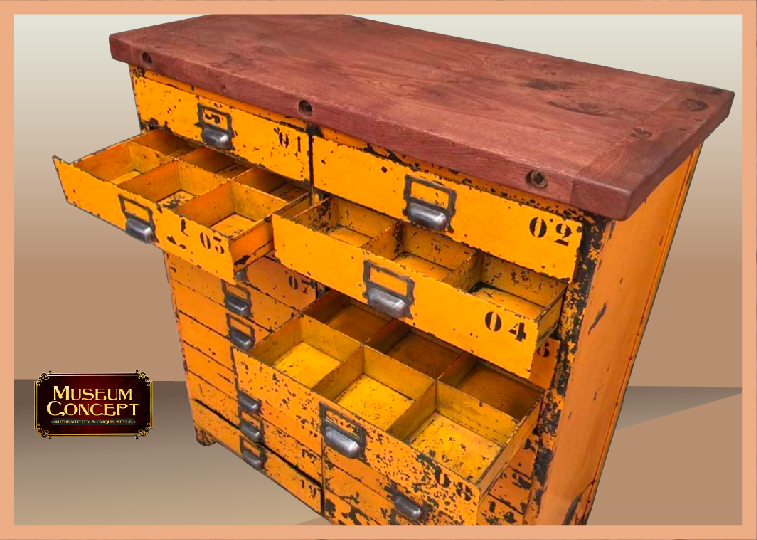 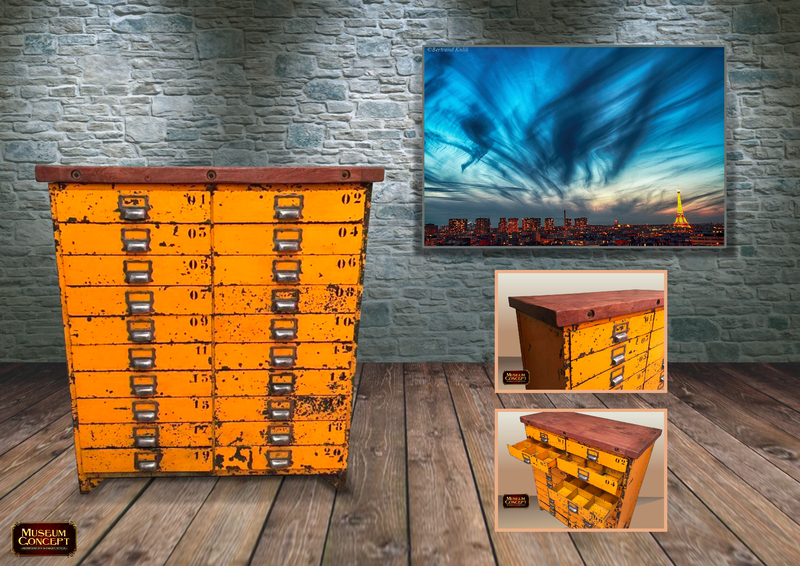 What an instant industrial look with its original 20 yellow-painted metal drawers and its remarkable oak top! 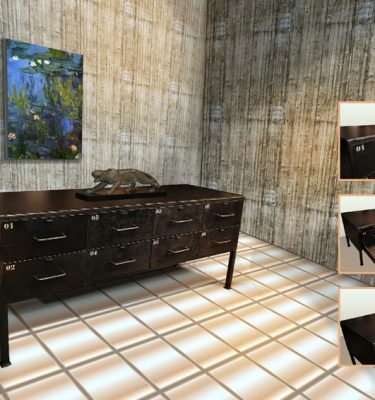 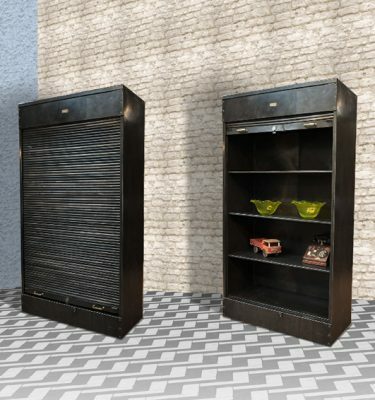 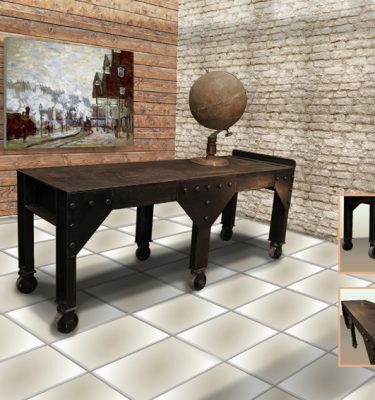 A unique patina for this eye-catching piece in a superb quality furnish.